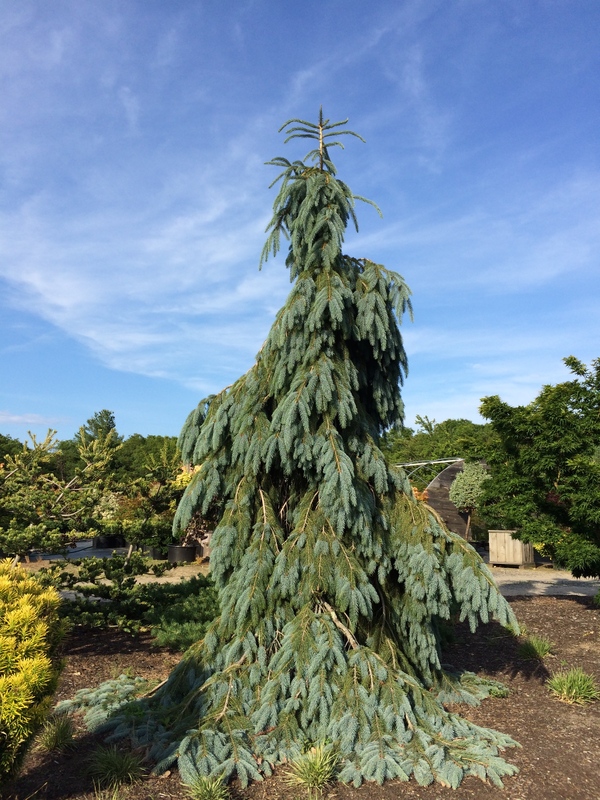 Upright weeping evergreen with powder blue new growth over grey green older growth giving the plant a two tone effect. Similar in habit to Weeping White Spruce but ultimately much wider. Great as a specimen or in grove planting. Plants grow 12-15' in 20 yrs. Full sun.